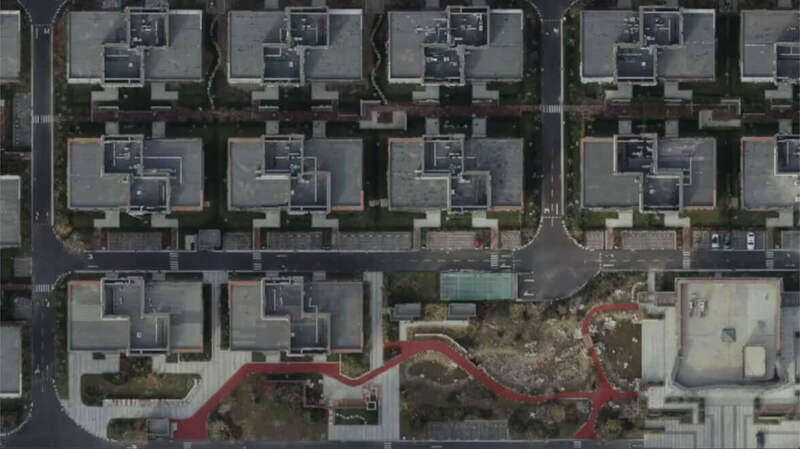 Capture, analyze and visualize your environment with DJI Terra – an easy to use mapping software developed to help industry professionals transform real-world scenarios into digital assets. Plan. Process. Analyze and Execute. Create efficient flight paths using predefined waypoint actions and adjustable parameters like altitude, speed, gimbal pitch angle, aircraft heading and more. For more complex and tight missions that require high attention to detail, use 3D Flight Visualization to design and simulate tasks on existing 3D models. 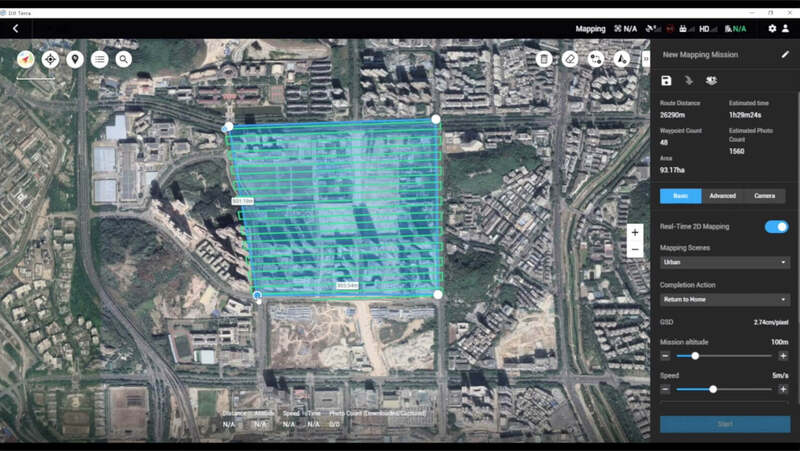 With just a few taps on the screen, you can automate complex missions, allowing you to seamlessly capture imagery which can be processed to produce a variety of maps and models for further analysis, and to aid decision-making. 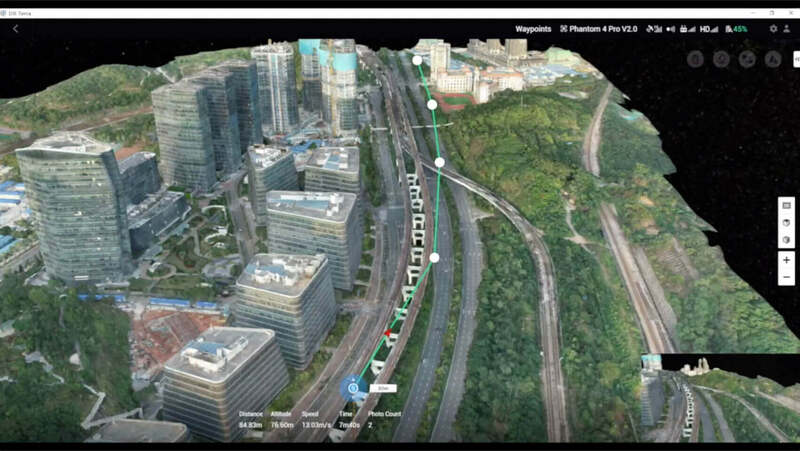 When accuracy is essential and details are vital to your critical operations, Oblique lets you capture a rich 3D model data set by adjusting the angle of the camera at a tilted angle, giving you an extra crisp view of the asset. 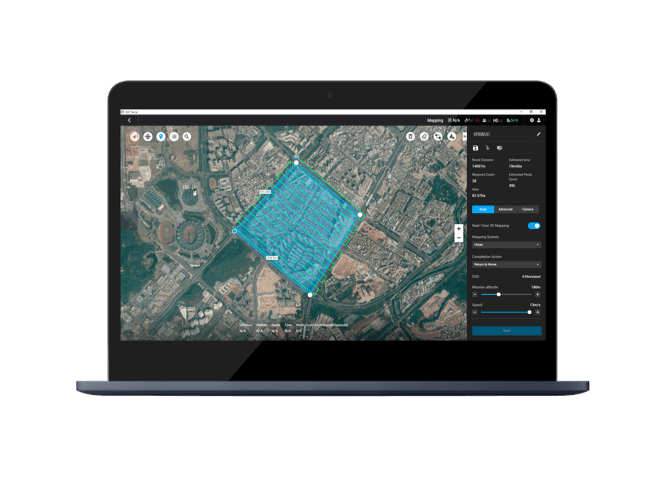 With real-time mapping, you can quickly generate a 2D orthomosaic of the selected area of the flight mission in real-time. Not only is this ideal for creating detailed flight paths in remote areas but it’s also useful for time-sensitive missions that require quick decision-making on site. Generate high resolution orthomosaic, enabling you to get detailed and accurate measurement results for all your critical projects. Get sharp and realistic representations of your surroundings throughout various industrial applications, be it accident reconstruction, tracking progress on major construction projects and more. Acquire key dimensions across an array of terrains with easy-to-use analysis tools that enable you to obtain a variety of measurement data based on linear, area and volumetric measurements. Edit labels of measurements on existing models, which can be used for reporting and improving communication throughout ongoing projects. Closely inspect every photo of the model so you can pinpoint and highlight any critical elements in the real world. 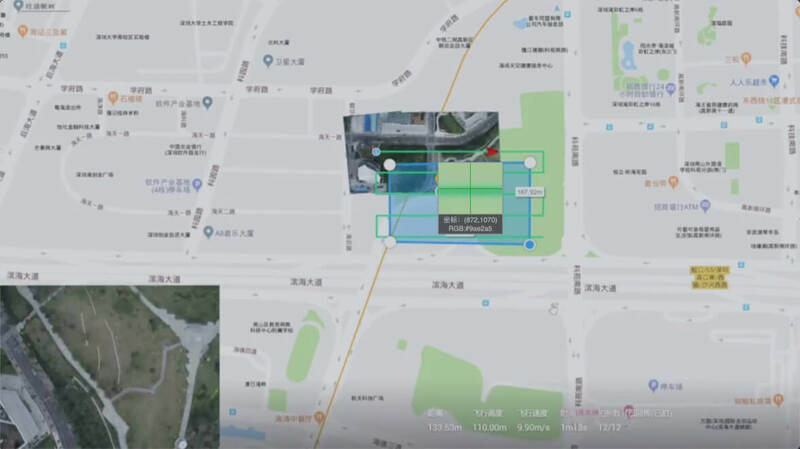 Harness the power of AI-driven mapping solutions designed to take your industrial projects to the next level. 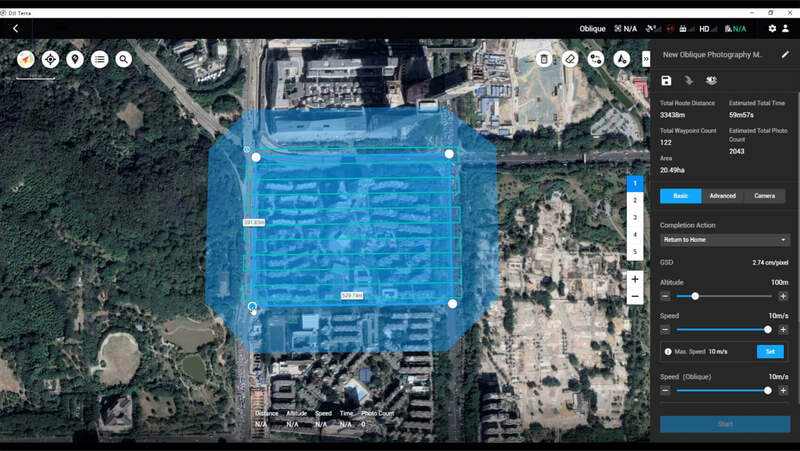 Whether it’s object classification, site inspections and more, you can start developing task-specific mapping solutions to seamlessly carry out missions. Define mission objective, plan desired flight plan, and with a tap of a few buttons, autonomously collect critical data so you can achieve the required outcome. 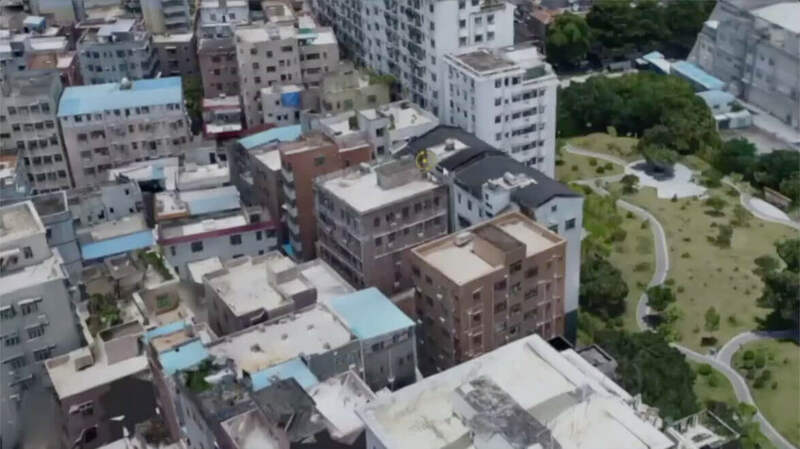 Utilize refined image recognition technology to generate 2D and 3D data, resulting in a more realistic representation of your assets, objects, surroundings and more. Implement tools and machine learning techniques, which can be used across a variety of different industries – like classification algorithms for identifying trees, objects, and other scenarios. Take the required action, and enjoy more efficient processes with machine control – be it automated crop spraying, monitoring work sites, transporting materials and more. Terra is available for order through official DJI dealers. Enter your details below and we’ll get back to you.